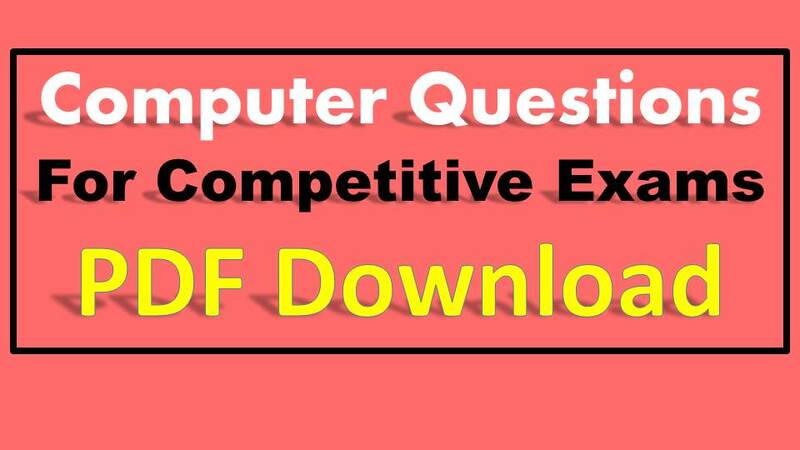 Computer Questions for Competitive Exams: Aspirants who are preparing for the All Bank Exams we are discussing the topic about the Computer Knowledge Questions asked in the All Competitive Exams Like as the IBPS PO, IBPS Clerk, IBPS SO, SBI Clerk, SBI PO, NICL, LIC, RBI (Reserve Bank of India) and Other Banking Examination. In The Recruitment of Bank employees they must know about the computer knowledge. Present days every exam Computer Awareness Topic having 30-40 Marks of the Mains CBT Test. This post we are attached the Computer Awareness questions and Answers PDF Download it free of cost. Here we give the computer knowledge question and answers pdf file useful for the all the Banking Exams. 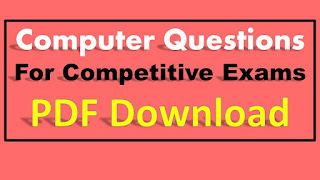 This Computer Awareness Quiz useful for which types of questions are asked in the competitive exams. It helps the getting high score in the Banking Recruitment Exams.